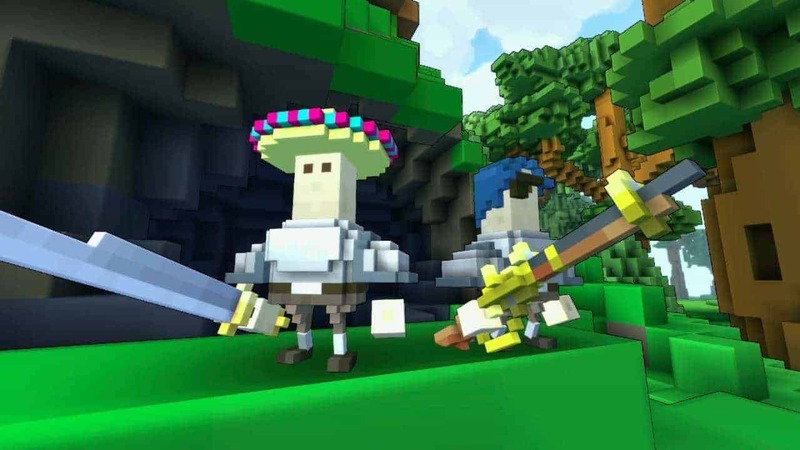 The free-to-play, voxel-based MMORPG game from Trion Worlds, Trove, is approaching its official launch on Steam after lengthy and successful Closed and Open Beta periods that have helped prepare the game for its nearing launch. The action-based approach to the Trove combat system and the heavy emphasis on collection mechanics has helped make Trove one of the most exciting of exploration opportunities in the MMO space today. Build impressive Cornerstones or work with your guild on constructing a massive Club World, tomorrow the endless creation and construction possibilities of Trove will officially release on Steam. Trove’s Open Beta client is currently available to download on Trion Worlds’ Glyph platform, a platform that also houses the developers other popular MMO titles such as Rift and Defiance. Players are free to jump into the Minecraft-esque world of Trove today under the Open Beta banner but those looking to gain access through the Steam client will need to wait until tomorrow.